Gone are the days of horror, to find a house in a new city, state, country or a continent. With the miraculous age of digital on lose, everything from groceries, relationships and now rental apartments can be found online. There are multiple websites available online that help with real estate, in terms of buying or leasing an apartment, yet the sources of information is questionable.The most common issues that an online user faces when searching for leasing an apartment is the validity of the ad, the agent and the photographs. 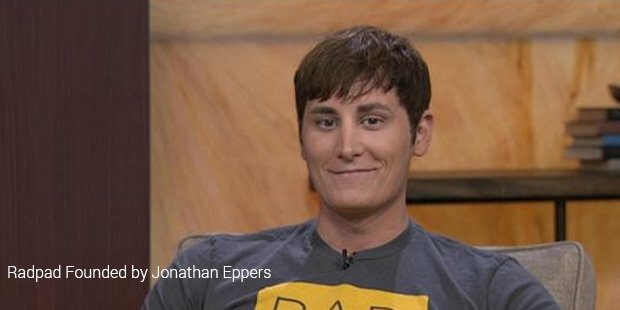 Targeting this traumatic situations of a house hunter, Jonathan Eppers, TylinGalpin and Tim Watson launched Radpad.comRadpad is a unique platform that allows one to choose their preferred location by using Google Maps. You can view from space the street you want to live in and close on an apartment. The maps are also enhanced with the feature of ‘Drive time’ from a given location. This feature proves to be a boon for students, who are looking for an apartment closer to their college. RadPad allows multiple filter options to help you choose the best apartment that not only suits your pocket but also your requirement. They have filters with respect to the number of bedrooms, bathrooms and pet friendliness.This state of the art real estate portal claims to be one of the most transparent platforms that offers one to one conversations with the owners rather than the agents, like most other competition websites. It is a mandate that each upload by the owner should be complimented with real photographs or videos of the apartment and the preferred rent. If the user finds it appealing, they can ‘favourite’ the house and talk to the owner. This is not all, the listing will be verified only when the owner of the property uploads his/her legal documents. Though these documents are not freely viewable, they are required by RadPad for a secure transaction.RadPad also has a mobile app, to find you a house on the go. This app apart from navigating you to the house of your dreams also allows you to directly chat with the owner before closing the deal. 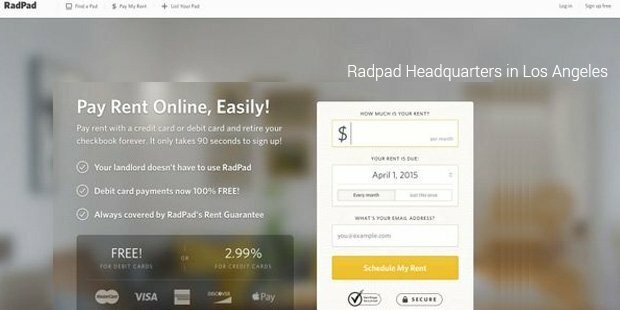 On September 2014, RadPad launched a feature where in one can make a payment online using a debit, credit or bank transfer. This is useful for people whose payments are made by their families living abroad.Today, RadPad is the largest marketplace in the LA Metro Area. With the local approach business model, RadPad has been able to set teams at LA, San Diego, San Francisco, Chicago and Washington DC. Since 2013, RadPad has raised more than 5 Million funding from investors. Renowned investors like Deep Fork Capital, Post Investments, SG Acquisitions, Social Leverage, Venture Partners, Happy Walters etc. who usually show profound faith in start-ups, have invested in the brand.So the next time you are on a traveling spree for business or leisure,no need to flip through yellow pages or multiple real estate websites. 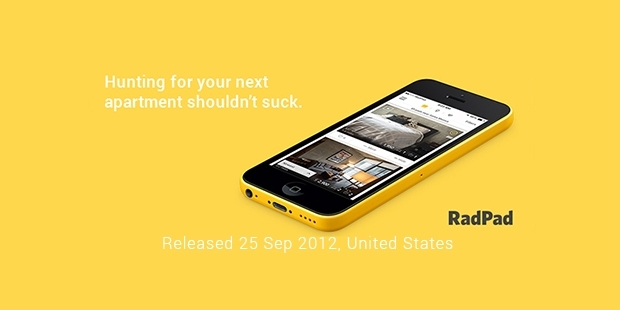 Simply log on to RadPad and find the apartment of your dreams, right on your desktop or mobile.